Students in grade 5 through 8 who are members of the Saint Ambrose School Lego Robotics team meet on a regular basis, after school, to prepare for the annual Delaware State University FIRST Lego League competition. First Lego League (FLL) is a program designed to expose students in grades 5-8 to the fun and excitement of science and technology. Through this, they gain self-confidence, knowledge, and valuable life skills. The students are challenged to think like scientists and engineers. 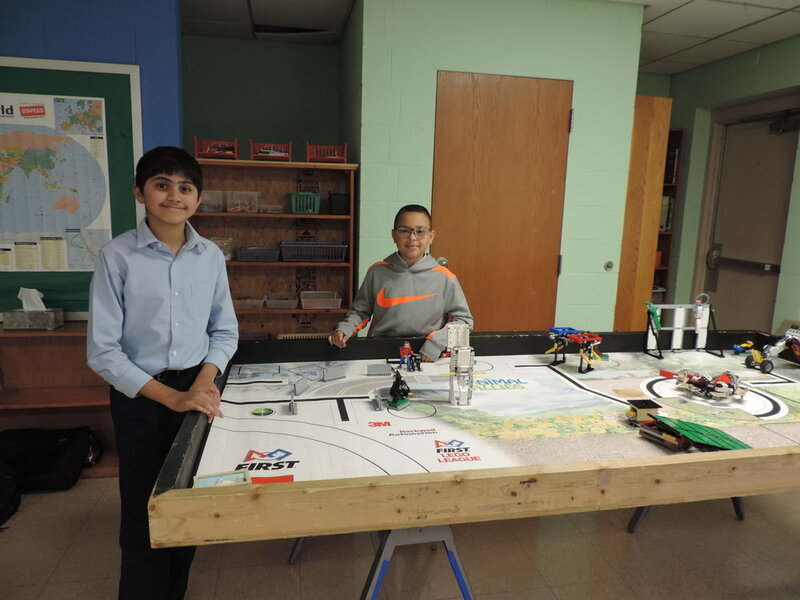 In addition to building, programming and competing with a robot built of Legos, the FLL teams develop solutions to real-world problems as part of their research project using engineering concepts, presentation techniques, and the knowledge they’ve gained from their research process.